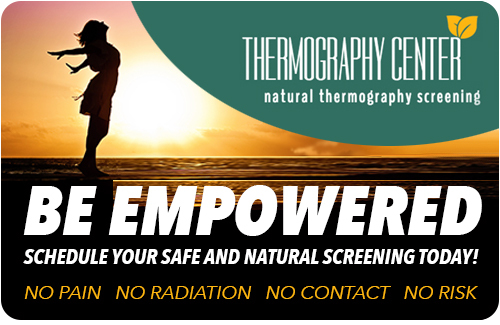 Thermography is the only clinical procedure that shows inflammation in the body as a source of pain. Our non-invasive scanning thermography procedure is able to detect many types of chronic pain throughout the body. If you're experiencing pain from arthritis, headaches, injuries, or any other unexplained pain, schedule an appointment today. Detecting chronic inflammation at the earliest possible stage allows for the opportunity to address and treat the condition before it becomes more serious. Head and Neck Scans look for indications of inflammation and disease, neurological issues, sinus, jaw/periodontal, cervical spine, thyroid and Carotid Artery health. Many people don’t understand the connection between periodontal disease and immune health, specifically cancer. Breast cancer made it to the list of cancers linked to periodontal disease in 2010. Current research reveals a direct correlation between a strong and healthy immune system and oral health. Furthermore, the scientific community has now realized a direct link between periodontal disease and nearly all the organs in your body. Other health concerns linked to Periodontal issues/infections include: Alzheimer’s, dementia, cancer, heart attack, stroke, kidney and lung disease, and Diabetes. Root canals, and unresolved oral issues, including bleeding and unhealthy gums allow dangerous periodontal bacteria to slip through the broken gum tissue or fester sealed deep in the jaw and invade the bloodstream, producing inflammation and disease in other parts of the body. Breast cancer, as well as diabetes, heart attack, stroke, pancreatic cancer, prostate cancer, Alzheimer’s disease and dementia, pregnancy complications, Hodgkin’s Lymphoma, Multiple Myeloma, colon cancer and lung and kidney disease have all been linked to periodontal bacteria. Unfortunately, many individuals with periodontal disease aren’t even aware that it may be contributing to their overall immune health. Anyone with a low or compromised immune system may want to consider a thermal scan. 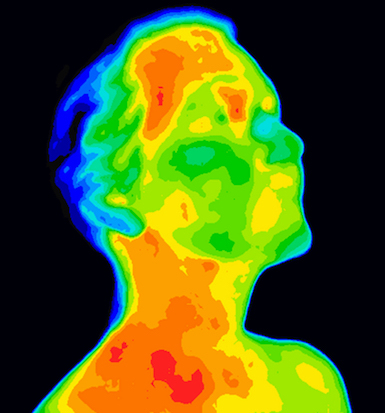 A thermography head/neck scan may help to determine if further testing and/or intervention is needed. Torso scans primarily look for healthy organ function in the torso region, and indications of inflammation or disease, specifically cancer, including: Stomach, small intestine, colon, pancreas, kidney, bladder, gallbladder, liver, lower to mid spine and female/male organ health. 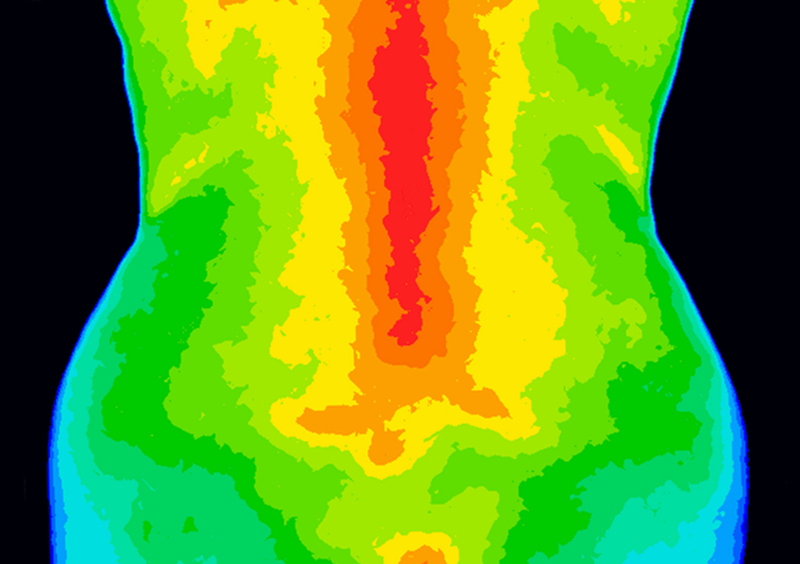 Many of our clients use thermography torso scans to check for good colon health or indications of dysfunction or dis-ease. With colon cancer on the rise, identifying small hot spots of inflammation in the colon early may provide us with ways to act and possibly eliminate a future health challenge. So much can be accomplished through diet, food testing, and lifestyle changes to get rid of hot spots and hopefully halt the future development of disease. Many of our clients have follow-up with our recommendations to see a colon hydro-therapist or to detoxify the colon or/and add sufficient probiotics products in order to restore good flora and gut ecology. We don’t advise against getting a colonoscopy, however, in many cases, invasive and sometimes risky testing isn’t necessary. Consulting with your doctor’s recommendations and following the needs of your intuitive knowing is always advised. Other regions of interest, include: Arms/Hands, Legs/Feet and specific areas of concern by request.